Song Q, Wang B, Wang J, Niu X (2016). Endangered and endemic species increase forest conservation values of species diversity based on the Shannon-Wiener index. iForest 9: 469-474. Species diversity is the most important component of biodiversity and plays an important role in maintaining forest ecosystem processes and stability. The assessment of the forest conservation value of species diversity is commonly carried out based on the Shannon-Wiener index. However, endangered and endemic species were always ignored in previous studies aimed at assessing the conservation value of forest species diversity. In this study, the conservation value of forest species diversity was assessed in two representative provinces of southern and northern China (Yunnan and Jilin provinces, respectively). The conservation values of species diversity for different forest types was calculated based on the standard Shannon-Wiener index, and on two different indexes derived from it by including: (i) an endangered species index (Ei) based on the China Species Red List; (ii) an endemic species index (Bx) based on the geographic distribution of the species considered. The results showed that the inclusion of the endangered and endemic species indexes dramatically increased the forest conservation values in these two provinces. The total conservation value in the Yunnan province was 268.65 billion yuan yr-1 based on the Shannon-Wiener index, 269.78 billion yuan yr-1 after including Ei in the assessment, and 324.44 billion yuan yr-1 after the inclusion of both Ei and Bx. In Jilin province, the total conservation value was 123.94 billion yuan yr-1 based on the standard Shannon-Wiener index, 124.60 billion yuan yr-1 after including Ei, and 125.74 billion yuan yr-1 after including both Ei and Bx in the assessment. Therefore, the inclusion of endangered and endemic species in the assessment of forest conservation values, as well as other aspects related to biodiversity like the presence of ancient trees, can contribute to the protection of endangered and endemic species in these two provinces of China. Concepts, instruments and challenges for the conservation of biodiversity in the forest. Schweizerische Zeitschrift fur Forstwesen 160 (3): 67-53. Threatened and endemic species: are they good indicators of patterns of biodiversity on a national scale? Ecology Letters 5 (6): 733-741. Global biodiversity conservation priorities. Science 313: 58-61. Effects of biodiversity on the functioning of trophic groups and ecosystems. Nature 443: 989-992. Assessing conservation priorities in megadiverse Mexico: mammalian diversity, endemicity, and endangerment. Ecological Applications 8 (1): 8-17. Advances in species endangerment assessment. Chinese Biodiversity 12 (5): 534-540. Valuing the diversity of biodiversity. Ecological Economics 58 (2): 304-317. Do forest community types provide a sufficient basis to evaluate biological diversity? Frontiers in Ecology and the Environment 6 (1): 13-17. Geographic distribution of endangered species in the United States. Science 275: 550-553. Specifications for assessment of forest ecosystem services in China. 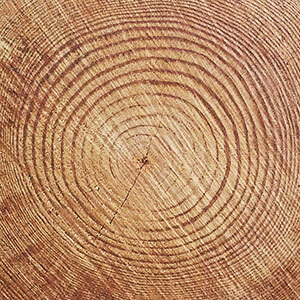 LY/T 1721-2008, Forestry industry standard of the People’s Republic of China, Standards Press of China, Beijing, China, pp. 3-5. China plant red data book - rare and endangered plants: volume I. Science Press of China, Beijing, China, pp. 1992. Allozyme variation in Ophiopogon xylorrhizus, an extreme endemic species of Yunnan, China. Conservation Biology 11 (2): 562-565. The worth of a possum: valuing species with the contingent valuation method. Environmental and Resource Economics 19 (3): 211-227. The value of life: biological diversity and human society. Island Press, Washington, DC, USA, pp. 283. Plant diversity and priority conservation areas of Northwestern Yunnan, China. Biodiversity and Conservation 16 (3): 757-774. The ecosystem-service chain and the biological diversity crisis. Philosophical Transactions of the Royal Society B: Biological Sciences 365 (1537): 31-39. Declining biodiversity can alter the performance of ecosystem. Nature 368: 734-737. Economical assessment of forest ecosystem services in China: characteristics and implications. Ecological Complexity 11: 1-11. Chinese forest ecosystem research network: a platform for observing and studying sustainable forestry. Journal of Food, Agriculture and Environment 11 (2): 1008-1016. Biodiversity in the context of ecosystem services: the applied need for systems approaches. Philosophical Transactions of the Royal Society B: Biological Sciences 367 (1586): 191-199. Economic valuation of biodiversity: sense or nonsense? Ecological Economics 39 (2): 203-222. Bird populations of the highlands plateau in relation to plant succession and avian invasion. Ecology 31: 587-605. Saving biological diversity-economic incentives. OECD, Paris, France, pp. 2-5. Economic and environmental benefits of biodiversity. BioScience 47 (11): 747-757. Getting the measure of biodiversity. Nature 405: 212-219. Linking biodiversity to ecosystem function: implications for conservation ecology. Oecologia 122: 297-305. The role of science in the preservation of forest biodiversity. Forest Ecology and Management 115 (2-3): 101-111. Southeast Asian biodiversity: an impending disaster. Trends in Ecology and Evolution 19 (12): 654-660. Research on the assessment of forest biodiversity in Mt. Tai. Shandong Agricultural University, Tai An, China, pp. 17. The big things that run the world: a sequel to E. O. Wilson. Conservation Biology 2 (4): 402-403. Productivity and sustainability influenced by biodiversity in grassland ecosystems. Nature 379 (6567): 718-720. Report of the United Nations conference on environment and development. United Nations Publications, New York, USA, pp. 2. Biodiversity assessment and conservation strategies. Science 279: 2106-2108. A random process may control the number of endemic species. Biologia 64 (1): 107-112. Evaluation of economic forest ecosystem services in China. Chinese Journal of Applied Ecology 20 (2): 417-425. China red data book of endangered animals. Science Press of China, Beijing, China, pp. 3-5. Economic value assessment of forest species diversity conservation in China based on the Shannon-Wiener index. Forest Research - Chinese Edition 21 (2): 268-274. Assessment of forest ecosystem services value in China. Scientia Silvae Sinicae 47 (2): 145-153. The assessment of forest ecosystem services evaluation for shrubbery-economic forest-bamboo forest in China. Acta Ecologica Sinica 31 (7): 1936-1945. China species red list: I. Higher Education Press, Beijing, China, pp. 35-98. Discussion on models for species diversity and suggestion on a comprehensive model. Ecological Modelling 9: 1-15. Towards the satisfying model for biological diversity. Ekologia 17 (3): 129-141.